Check out Tobi's Told You So Layered Necklace Set Plunge neckline? Make it sparkle. A delicate take on the boho necklace, the Gold Told You So Layered Necklace Set includes four gold toned strands, including a thin gold choker and star and bead embellished necklaces. Add trend-led shimmer to every outfit with this necklace set. Plunge neckline? Make it sparkle. 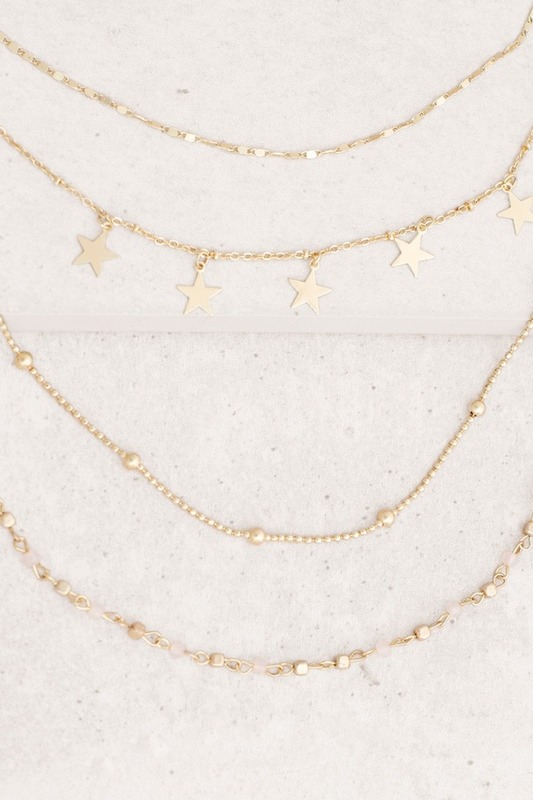 A delicate take on the boho necklace, the Gold Told You So Layered Necklace Set includes four gold toned strands, including a thin gold choker and star and bead embellished necklaces. Add trend-led shimmer to every outfit with this necklace set.